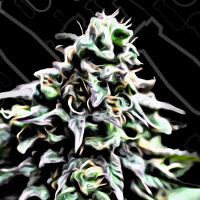 was born out of an auto pollination of a clone from UK that reached its apogee in the mid-90s. 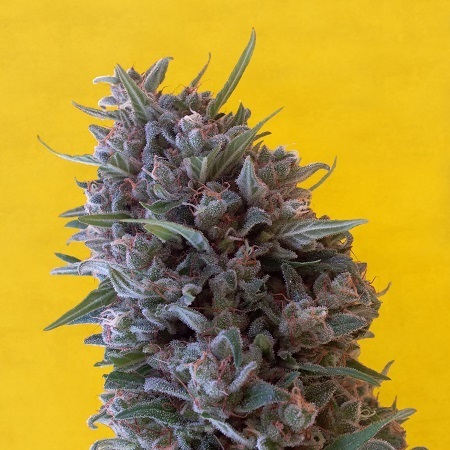 Cheeisenberg Feminized Cannabis Seeds by Breaking Buds Seeds: Cheeisenberg was born out of an auto pollination of a clone from UK that reached its apogee in the mid-90s. This clone moved from hand to hand until ending up in an alternate community that used to organise free parties in order to support and claim for the legalization of cannabis. In these parties some samples of this variety were shared among participants and this strain spread rapidly throughout Europe. Cheeisenberg predecessors presented scrawny structure and branching, which was unbearable due to their big and heavy buds. That is why we had to choose the strongest and highest parental lineage for Cheeisenberg and, by doing that, generation after generation and in an evolving way, we finally got stronger and more resistant plants. Suitable for experienced growers. 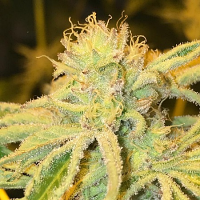 It misbehaves with novice growers, but actually it's something you can deal with when using foliar feeds or a higher dose of micro elements. It behaves very well indoors, reaching a production rate upto 1gr per watt. This all terrain will do fine in any kind of substrate and it adapts perfectly to all types of hydroponic cultivation. Its strong scent is easy to recognize from its early stages. It penetrates the walls of your wardrobe or even your house even days after the harvest. Its dry scent reminds of nachos or corn curls. If you're thinking about having a macro or mono cultivation, Cheeisenberg is your plant.